Tourists will be able to fly directly into Uganda’s pristine national parks without needing first to clear immigration at the country’s international airport. 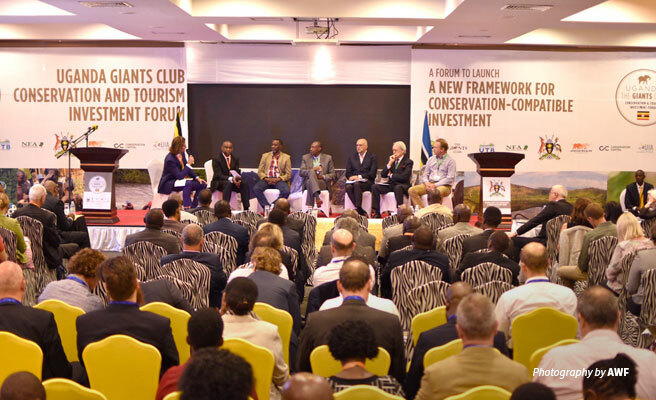 The announcement was among a raft of incentives approved by the Government of Uganda during the Giants Club Conservation and Investment Forum held on October 6, 2017, in Uganda. Other incentives included discounts on hotel bed night levies, waivers on fees charged to land at wilderness airfields, and extensive support to market new tourism enterprises. Uganda President, Yoweri Museveni, addressing the Forum said that finding innovative ways to fund conservation and drive more benefits to local people is a key part of his role as a Founding President of the Giants Club, an initiative headed by Evgeny Lebedev, a British newspaper owner, and philanthropist. “Requiring all visitors entering Uganda to do so only at Entebbe International Airport was holding back the potential to develop the country's tourism potential fully,” said Justus Karuhanga, Uganda’s representative for the Giants Club. The move, approved by the Ugandan Ministry of Internal Affairs and its Civil Aviation Authority, would see tourists clearing immigration on arrival directly to the airfields in national parks. It comes soon after Kenya, Uganda, and Rwanda enacted a joint visa scheme where visitors may visit any of the three countries on a single entry permit. “Continental and intraregional tourism in Africa is increasing, and offers opportunities for economic and export diversification,” said Kaddu Sebunya, President of African Wildlife Foundation (AWF). The Uganda Wildlife Authority (UWA) also announced a series of new incentives for Investors. These include reducing hotel bed night fees by 50 percent for tourists staying more than five nights at properties opened following the Forum and cut by 20 percent fees on groups of 10 people or more. Additionally, it will waive aircraft landing fees during an investor’s first year of operation, offer a 12-month grace period on new operators’ annual fees, and cover the costs of promoting new enterprises in UWA bulletins, publications, and brochures. UWA already covers the costs of the maintenance of airfields and access roads in Parks and Reserves it manages, provides rangers and security to lodges, and discounts hotel bed night fees for children. Global investors focused on responsible tourism gathered in Uganda to hear from conservationists and the Government of Uganda about a series of new concessions, some available for the first time in more than 30 years. The Forum, organized by the Giants Club with support from the AWF and the UN Development Programme (UNDP Uganda), aims to bring private sector financing to boost Uganda’s effort to conserve its protected areas by increasing responsible and sustainable tourism that brings benefits to local communities and protects environments. “This Investment Forum offers an opportunity to start planning appropriately. We have an opportunity to attract the best global operators if the design and incentives are structured correctly and ensure that a percentage of revenue changes the lives of Ugandans,” added Kaddu. AWF Vice President, Programs East, and Southern Africa Kathleen Fitzgerald in her remarks said the Forum has a catalytic impact on bringing new investments in the sector as a means to drive conservation outcomes and community benefits. A new ‘One Stop Centre’ housed at the Uganda Investment Authority under the authority of the Office of the President will streamline investors’ procedures to launch new businesses.